The Master of Engineering (MR) distance education degree program is designed for students with an undergraduate degree in engineering or a closely related field who wish to pursue a graduate degree in engineering. The program was created to address the needs of students whose schedule or location does not allow on-campus study, working professionals who wish to obtain an advanced degree or those who wish to change fields within engineering. Convenience and flexibility are the key advantages of this interdisciplinary degree program that can be earned totally at a distance with no GRE, thesis or final oral exam requirements. The Master of Engineering degree allows students to choose from different subplans from the many disciplines of engineering within the College of Engineering or to design their own degree plans that best meet their career or employment goals. Bachelor’s degree from an accredited college or university in engineering, computer science, mathematics, physics or related sciences. Must have completed an engineering-based calculus series including differential equations prior to applying to the program. A minimum overall undergraduate grade point average of 3.0. All international applicants must take the TOEFL or IELTS exams (no more than two years old) unless they have completed one year of study in the United States. Official transcripts of all universities or colleges attended. Completion of 30 credit hours of graduate-level courses with an overall grade-point average of 3.0. All classes must be graded NOT audited, meaning all 30 hours must be in graded classes. Completion of 21 hours of engineering classes with at least 18 hours taken from the College of Engineering and from more than one engineering discipline or computer science. The remaining 9 hours are in science-related classes, business, math or engineering management. Must take a minimum of three courses from a single specialty — subplan — area. The subplan area will appear on the student’s transcript if a minimum of five courses is taken in that specialty. 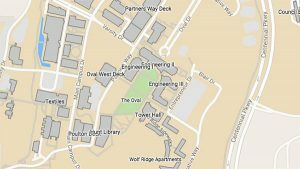 All subplan-area classes MUST be taken from the College of Engineering at NC State University; transfer classes will not count for concentration area. Completion of the degree program within six years, and except for summer sessions, a student must remain continuously enrolled for a minimum of one course per fall and spring semesters until graduation. A leave of absence can be granted for two semesters under reasonable justification. No thesis or on-campus residency requirements. Completion of a graduate Plan of Work (POW) after the completion of 15 credit hours. The Master of Engineering program is a 30-credit-hour program. 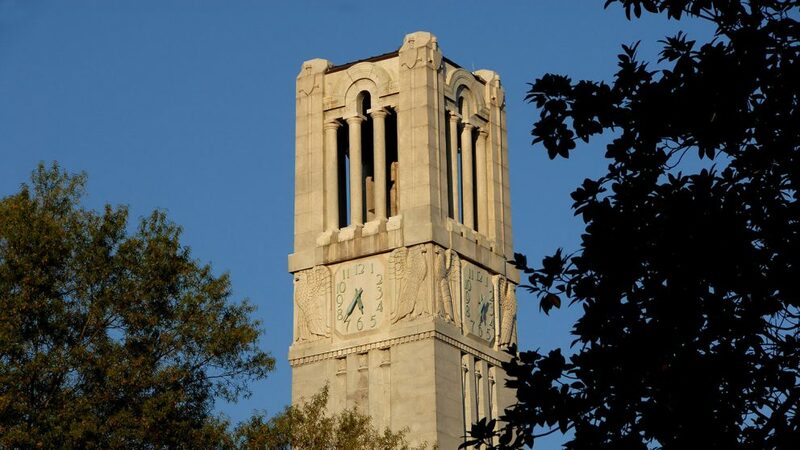 All requirements of the degree must be completed within six years of enrolling in the first course that appears on the NC State Graduate Plan of Work. Students who are employed full-time may enroll in only two courses per semester. It is highly recommended that new students enroll in just one course during the first semester. The average time for students to complete the Master of Engineering degree is 3.5 years. *Please note that there is no concentration in Civil Engineering. You may take up to three courses in Civil Engineering, but you cannot receive a subplan. All students, upon admission to the program, are assigned an academic advisor. In addition to the minimum admissions requirements, all applicants must have a bachelor’s degree in engineering or a related field, with an overall GPA of 3.0 or higher. Although GRE scores are not required, all international applicants must submit TOEFL or IELTS test scores. Applications are considered on a rolling basis as they are received. However, we do encourage future students to submit applications by the application deadlines for each semester to receive the highest priority.